China probably provoked the U.S. at sea last weekend in an effort to gain an edge over new President Barack Obama. China did just that, analysts now say, in the early months of George W. Bush’s presidency. 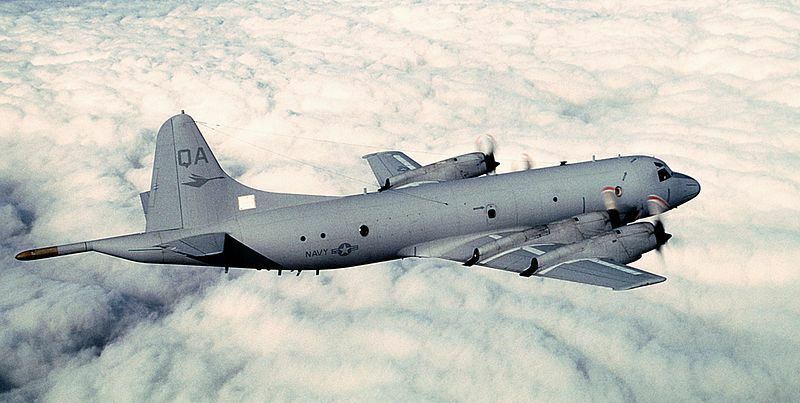 On April 1, 2001 , two Chinese J-8 fighter jets intercepted a U.S. Navy EP-3 surveillance aircraft that was 70 miles off Hainan Island , resulting in a collision with one of them, forcing it into the sea. The EP-3 made an emergency landing on Hainan , where China kept it captive for three months, long after the 24 crew members were released. At that time, China used this approach: the U.S. violated intenational law, China was within its rights, the U.S. needs to back off. China is fairly predictable and formulaic, sometimes. When China was found to have a deadly disease called SARS (Severe Acute Respiratory Syndrome) spreading a few years ago (November 2002 to July 2003; over 700 people died)China used this media strategy: denial, discovery, immense response, media explosion of good news, return to normal. China used this same play-book when accused of exporting all kinds of poisoned food products from toothpaste to dog and cat food, cough medicine, cookies, candy and seafood. Denial, discovery, immense response, media explosion of good news, return to normal. When China was accused of building shoddy schools which quickly collapsed killing tens of thousands of school children in the recent earthquakes, the Chinese public response included denial, discovery, immense response, media explosion of good news, return to normal. In 2006, Senator John McCain called China “immature” over its lack of effort in helping the U.S. and the world to address North Korea’s nuclear program. Laugh at McCain now — but North Korea remains a trouble spot in the world today only because China allows them to play that role. Just this week, North Korea threatened war with the United States — a war that would certainly involve Japan and South Korea. North Korea could not be making such threats and could not even think about testing a long range strategic missile just now unless China consented to this brazen move or at least looked the other way. China supplies North Korea with almost all of its food, oil, luxury goods and currency. Without China, North Korea would be impotent and meaningless. China’s at sea provocation of international law and Barack Obama seems remarkably similar to previous Chinese forays into the mind of at least one previous President of the United States sending the unmistakable message: the U.S. violated intenational law, China was within its rights, the U.S. needs to back off. The top U.S. and Chinese diplomats have work to do to keep a confrontation between American and Chinese naval vessels from damaging a relationship that President Barack Obama deems crucial to confronting the world’s toughest crises. Even if diplomatic efforts by Secretary of State Hillary Rodham Clinton and Chinese Foreign Minister Yang Jiechi are successful in toning down the dispute — the two were scheduled to meet Wednesday in Washington — they may ease anger only temporarily over a larger military disagreement. Beijing has long complained about U.S. surveillance operations around China’s borders. Without better communications between the two militaries as they operate in the South China Sea, the possibility for future conflict will remain. Clinton and Yang “can have a productive exchange to keep this bounded, but the real bureaucracies that need to be there aren’t going to be at the meeting,” said Jonathan Pollack, professor of Asian studies at the U.S. Naval War College. China says a U.S. Navy mapping ship confronted by Chinese vessels Sunday was operating illegally in China’s exclusive economic zone. The United States says Chinese ships surrounded and harassed the Navy vessel in international waters in the South China Sea. You are currently browsing the archives for the P-3 category.